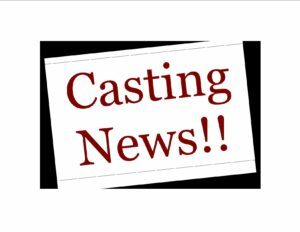 Putnam County Playhouse: CASTING NEWS! Jay Prewitt has joined the cast of The Mousetrap. The others in that cast directed by T.J. Tincher include Cameron Wunderlich as Sgt. Trotter, Kathy Helms Arnold as Mrs. Boyle, Anna Harris as Mollie Ralston, David Lorimar as Giles Ralston, Dustin Boothby as Christopher Wren, Cheyenne Welch as Miss Casewell, and Jack Randall Earles as Major Metcalf. To read the Beauty and the Beast cast list click HERE.